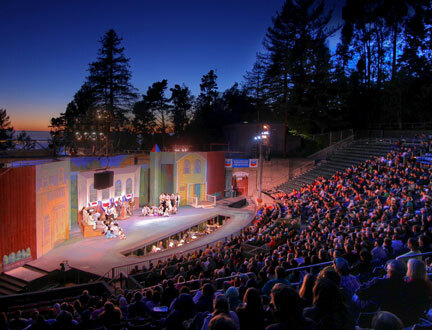 Woodminster Summer Musicals In Joaquin Miller Park. It’s difficult to imagine a more pleasant way to spend a balmy summer evening than at a live performance here. Witnessing the deepening of the evening and the slow appearance of the stars adds to the overall enjoyment of the production on stage. The amphitheater seats approximately 1,500 people on individually molded seats, all with good views. Pre-theater picnic tables are set up in redwood groves outside the theater.